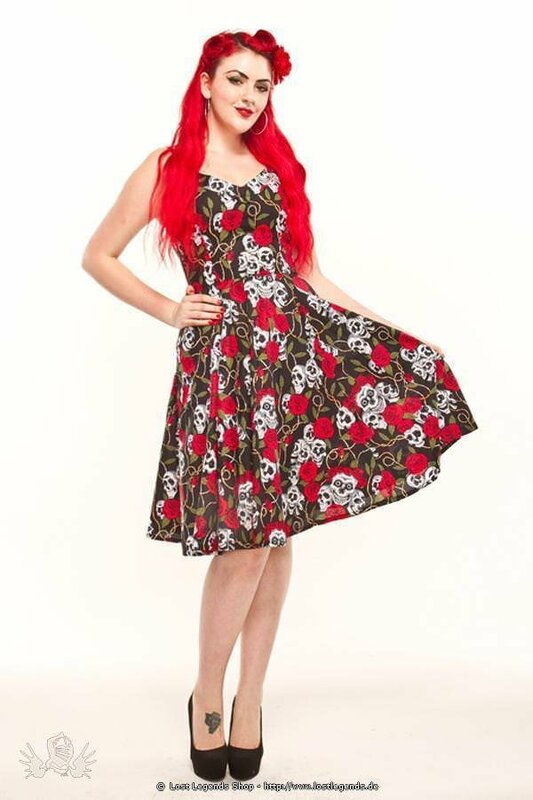 Womens Alternative skull print flared dress made from a soft printed Cotton. Fastens at the side with a 16" zip. Versatile flared Fifties Rockabilly dress which can be worn with a net underskirt for a fuller look.